Tahno O’ah Shrine is one of the blessing shrines in Zelda Breath of the Wild. This means it doesn’t offer any challenges, and the treasure chest inside comes as a reward for finding the shrine. It contains one of the most needed items in the game. 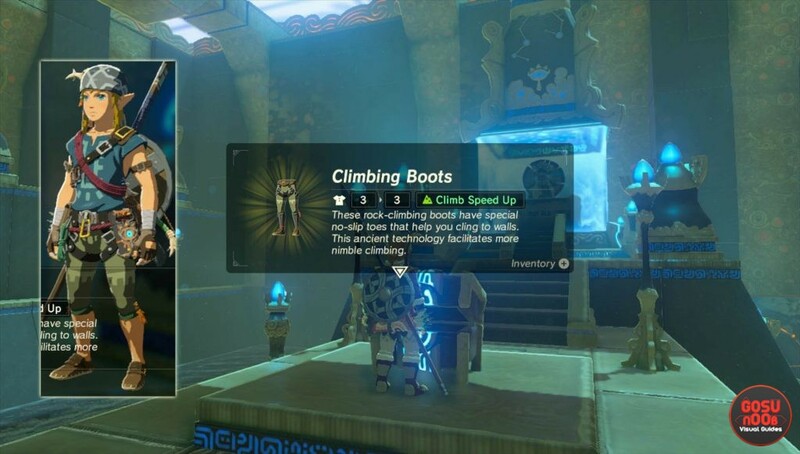 This is probably one of the most rewarding and easy-to-reach shrines out there; that is, if you have the right equipment. In this guide, we’ll show you where to find Zelda BoTW Tahno O’ah shrine, how to enter it. To reach the Tahno O’ah shrine area, you’ll need to have cold resistance gear or food. This is due to the fact that not only the Shrine’s environment is cold, but almost the entire mountain you have to cross is a rather cold place. The cheapest and fastest method is to eat some cold resistance food with a combination of a Warm Doublet. If you missed the Warm Doublet or are not sure about the recipes needed for the cold resistance buffs, we’ve made a guide on How to protect from the cold, where you can find them all. The most expensive method is a three-set snow resistance gear called Snowquill, for the total price of 2 150 rupees. You can buy the set from an armor vendor in Rito Village, in the far northwest. The price in rupees shouldn’t be a problem, considering that there is an easy method to farm rupees. The place where you can farm it is even the starting location for a trip to the Tahno O’ah Shrine and it is called Hateno Village. Once you’re geared up for cold weather, head to Hateno Village in the southeastern part of the main map. From here, you’ll need to go northeast towards Madorna Montain, Lanayru Range, Walnot Mountain. These are all parts of Mount Lanayru. If you pay attention to the map in this area, you’ll notice there are almost no forested sections. The only small group of trees can be spotted at the southeastern mountain slope. This is where you need to head. You can easily spot it from a distance, as there are almost no trees for miles around it. Destroy the rock formation at the entrance to reveal the Shrine. Once you reach the platform with the trees on it, use the remote bomb the blast the nearby rock structure, only to reveal the Tahno O’ah Shrine entrance. Head inside and grab the easy rewards.